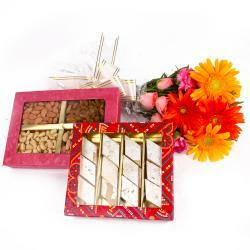 Product Consists: Bunch of 10 White Orchids with green fillers along with Box of Assorted Dryfruits (Weight : 500 Gms). 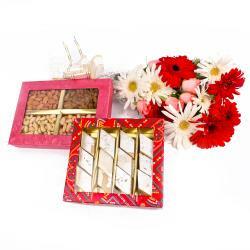 Add oodles of love and affection to your special one life with this lovely gift hamper. It comes with a fabulous bouquet of white orchids is a perfect gift for decorating home or office of the one you love. 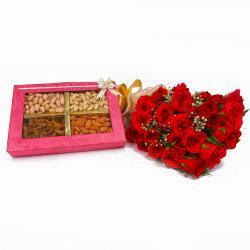 Flower bouquet adorned with delicious assorted dryfruits will adding extra happiness. This will be a tempting, sumptuous and heartwarming gift on occasions like birthdays and anniversaries, Boss Day, Janmashtami, Valentines Day, Get Well Soon and many more. Also you can also send this gift hamper along with other Gifts to India through Giftacrossindia.com. 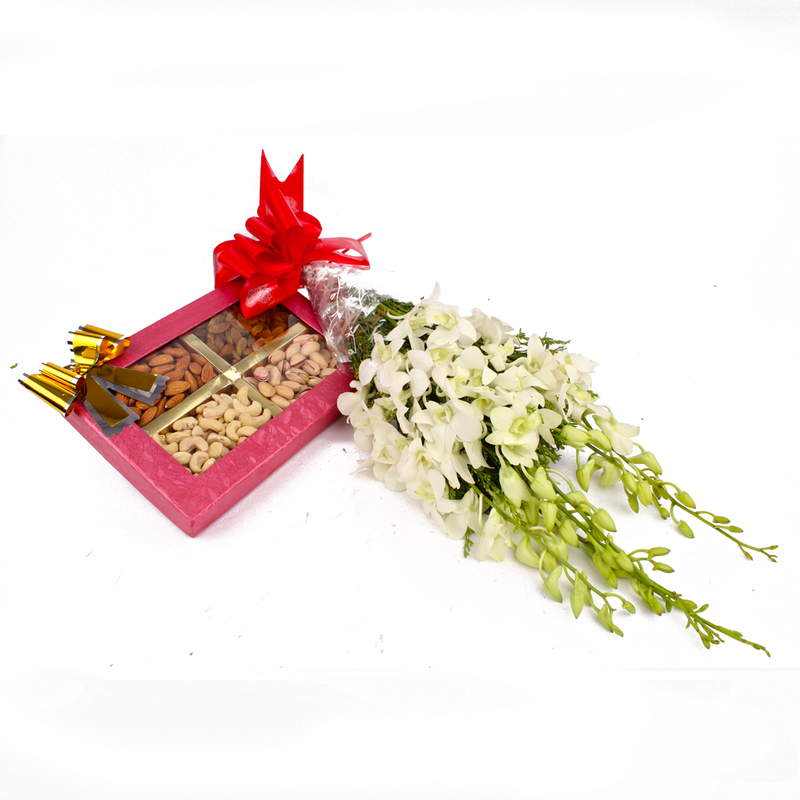 This gift hamper contains : Bouquet of 10 White Orchids with green fillers along with Box of Assorted Dryfruits (Weight : 500 Gms).